ISIS jihadists continue to advance towards Turkish border, seize an eastern Syrian oil field near Iraq. Jihadists from the Islamic State of Iraq and the Levant (ISIS) seized an eastern Syrian oil field near Iraq and inched closer to the Turkish border on Friday, The Associated Press (AP) reported. The Britain-based Syrian Observatory for Human Rights said that fighters from the group seized the al-Tanak oil field early Friday. Another group, the activist collective of Deir el-Zour, also reported the seizure. The field is in the eastern Syrian province of Deir el-Zour, near Iraq, and it followed the group's seizure of Syria's largest oil field on Thursday. Both oil fields were taken from other rebel groups. The extremist Sunni Muslim group now has nearly full control over a corridor from the Syrian provincial capital of Deir el-Zour to the border town of Boukamal, reported AP. The area neighbors parts of northern and western Iraq that it seized last month, allowing the group to flow freely between the two countries. The Islamist group has already amassed great assets during its blitz offensive in Iraq, seizing Iraq's largest oil refinery, a chemical weapons facility, and becoming the "world's richest terrorist organization" by looting 500 billion Iraqi dinars ($425 million) from banks in Mosul. ISIS on Sunday declared itself an Islamic "caliphate" and proclaimed its leader Abu Bakr al-Baghdadi as “Caliph”. It has also renamed itself “Islamic State” after the declaration. 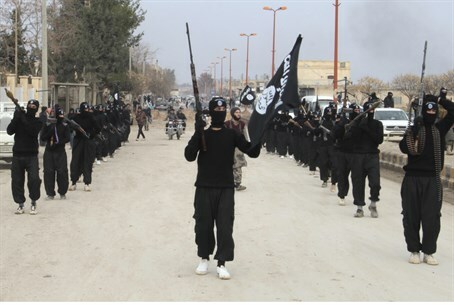 Over the past three days, the Islamic State fighters have been pushing strongly northwards up the Euphrates river toward Turkey, shelling a town just 11 miles (18 kilometers) from the border, said the Britain-based Syrian Observatory. A local activist, who uses the name Ahmed al-Ahmed, also confirmed the information.